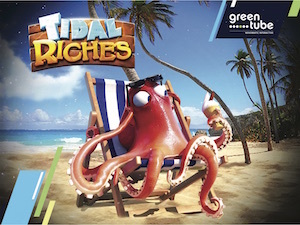 Greentube is inviting players to experience the deep-sea holiday of a lifetime with its latest slot release, Tidal Riches. Now available for all the supplier’s B2B partners, this new addition to the Greentube portfolio allows players to discover the wonders of the ocean in a 20-line, 5-reel slot. Offering the possibility to play on up to 50 lines and 6 reels, the underwater action can be prolonged even further by activating the slot’s extra features. Each win lights up an arrow on the Arrow Trail, increasing the active playing field. Collecting fourarrows triggers five Free Games with Treasure Chest Symbols that improve winning chances, and a new Arrow Trail begins. Lighting up four, five, six or seven arrows awards the player four, six, eight or 10 additional Free Games.